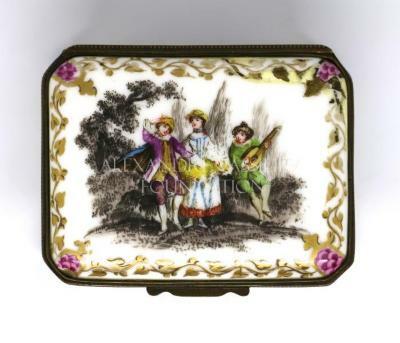 Enamelled metal box decorated with outdoor scenes with people playing music and gold and pink vegetal designs. The setting of the box is made of gilded metal. Inside the box there is a portrait of a young girl.